I wanted to make a simple and clean Easter card for my Grandma. I LOVE this stamp set from last year's mini, I think it's called Bunny Hugs. I stamped the bunny on the craft cardstock first using Basic Black Ink. Then I masked her and stamped the dotted circle from Thanks So Much around the bunny. Then using my CM circle cutter, I cut around the dots, leaving a little part above the one ear I cut out with scissors. I coloured in the bunny using my white craft ink and a Q Tip. I thought I'd try this technique over using the watercolour wonder crayons. I didn't do it for any particular reason other than to try. I like the effect of it. I coloured in the bunny's ears with the watercolour crayons and the little chick. 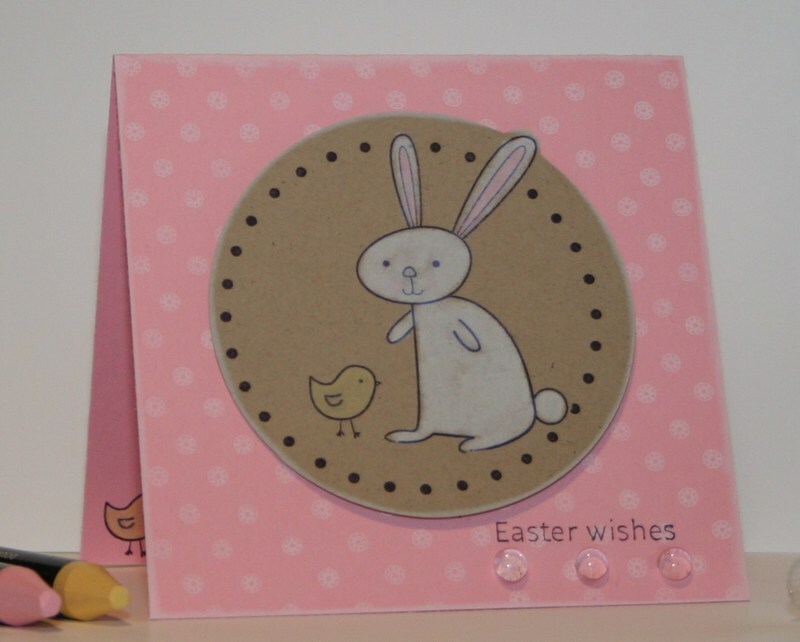 The Easter wishes greeting is from this same stamp set and the rest of the verse is stamped on the inside of the card with a few little chicks. I stamped the Boho background circles on the card with my white craft ink. Then added a few little dew drops under the greeting. 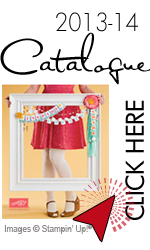 It's tough to see in this picture but the Kraft circle is also adhered using the stampin' dimensionals. The card and the Kraft layer are edged using the White Craft ink. Heather, I LOVE that bunny too! I don't own a lot of Easter sets but I did get this one last year. I'll have to try colouring like you did...nice effect!! Wonderful card. I like the little dew drops on the bottom. What a cute little card. It's funny because I just pulled this stamp set out a couple of days ago, thinking "I need to do something with these!". Now I have something to try! Thanks! Love this card Heather, it is sooooo cute!